If you're looking for something different to do this weekend, try a tour of Connecticut's famed Thimble Islands. Located off the coast of Branford, the Thimbles are a series of 85 small, privately-owned islands, many with luxurious homes built on them. The islands are rich with history, including a story that infamous pirate Captain Kidd buried his treasure there. It has never been found. One of the biggest events of the summer, Sailfest is in full swing this weekend. The New London Rocks stage on City Pier will feature local bands starting at 5 p.m. The Tartan Terrors will perform Irish music, comedy and dance at the Custom House Pier Stage at 9 p.m. The main event, the big fireworks show, is Saturday at 9:20 p.m. The Mashantucket Pequot Fireworks Extravaganza features Grucci pyrotechnics and is choreographed to music on KOOL 101FM. Sunday morning, landlubbers can run a 5K road race. Registration is 7:30 a.m. to 9 a.m. and the race starts at 9:15 a.m. Then the sails come back to Sailfest for the New London Maritime Regatta at 11a.m. 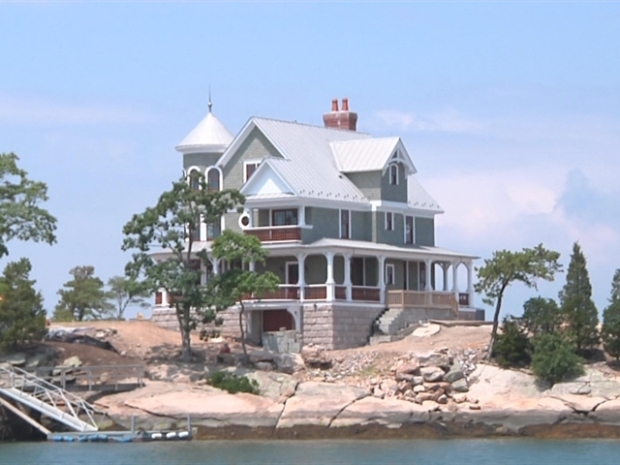 Take a boat ride around the Thimble Islands off Branford. You watched her endure Simon Cowell's wrath live on "American Idol", now you can cheer as Middlebury's Katie Stevens takes the stage live in concert! She performs Friday at 7:30 p.m. as part of the "American Idols Live" tour at the Arena at Harbor Yard in Bridgeport. Katie will even be joined by the other top nine finalists from this season. Celebrate 30 years of Riverfest! Because of the threat for rain on Saturday, it has been moved to Sunday at 4 p.m. at Riverfront Plaza in Downtown Hartford and Great River Park and Founders Plaza in East Hartford. Fireworks will be shot from two barges on the Connecticut River at 9 p.m. There will also be 10 bands on four stages. Admission is free. Connecticut's version of Comi-Con runs all weekend, 24-hours a day. ConnectiCon, where anime and comic book fans can really be themselves, is underway at the Connecticut Convention Center and Hartford Marriott Downtown. More than 7,000 people turned out last year, making it one of New England's largest pop culture events. This year, ConnectiCon features role-playing games, screenings of classic and independent feature films and table-top miniatures. Plus all those costumes!! !